In this exclusive audio montage Emmy Winner Charlotte Robinson host of OUTTAKE VOICES™ talks with celebrities on the Red Carpet at the 24th GLAAD Media Awards in NYC. First we spoke with Wilson Cruz GLAAD spokesperson and actor about gay marriage playing out in the US Supreme Court and other LGBT issues including GLAAD’s commitment to our transgender community. 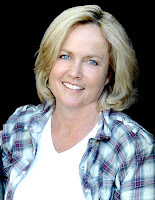 Then we talked to Mel Wymore who won a GLAAD Media Award for Outstanding TV Journalism in a Newsmagazine. Mel is the first transgender candidate running for New York City Council. He had a lot to share about LGBTQ teen bullying and LGBT equality. “Real Housewives of New York” City and straight ally Carole Radziwill then stopped by to give us her spin on LGBT equality. We were then joined by Herndon Graddick, President of GLAAD, who talked about the US Supreme Court marriage equality case and the direction GLAAD will be taking in the next few years. Winners of last year’s Vito Russo Award producers Craig Zadan and Neil Meron who won this year’s Outstanding Drama Series for their hit NBC show “Smash” gave us their spin on our LGBT issues. They were followed by straight allies “Smash” actress/singer Krysta Rodriguez and actor John Leguizamo. Then we chatted with one of our faves Laverne Cox, actress, producer and transgender advocate who is currently appearing in the Susan Seidelman film “Musical Chairs” nominated for a GLAAD Award. “The Fabulous Beekman Boys” Brent Ridge and Josh Kilmer-Purcell who accepted the Outstanding Reality Program for “The Amazing Race” on CBS chatted with us about LGBT issues and shared their wedding plans scheduled for this summer. Tony Award winning actor/singer Christian Borle who also stars in “Smash” then stopped by to talk about the show and his commitment to LGBT equality. Actor Avan Jogia who appears in the upcoming ABC Family’s “Twisted” and co-founder of the organization “Straight But Not Narrow” gave us his spin on LGBTQ teen bullying and more. Documentary filmmakers Bobbie Birleffi and Beverly Kopf talked about their nominated film “Chely Wright Wish Me Away” that is currently available on Showtime. Then ABC GMA Weatherman Sam Champion and his husband Rubem Robierb stopped by to talk about married life and changing attitudes toward our LGBT community. We concluded with GMA news anchor Josh Elliot who shared with us an intimate story about his gay dad who passed away and how he wished he could have lived long enough to find love and legally marry. 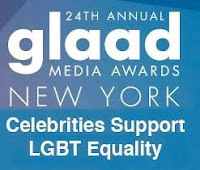 The 24th Annual GLAAD Media Awards were hosted by ABC “Good Morning America” anchors Sam Champion, Josh Elliot and Lara Spencer and were held at the Marriott Marquis Theater on March 16th in New York City. 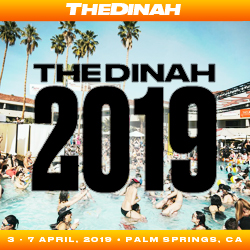 Additional awards will be presented in Los Angeles April 20th and San Francisco on May 11th. In this exclusive audio press conference the American Foundation for Equal Rights (AFER), the sole sponsor of the Perry case, held an historic national media call to discuss the upcoming oral argument before the US Supreme Court. Speaking on the call were Plaintiffs Kris Perry and Sandy Stier, Paul Katami and Jeff Zarrillo; Plaintiffs’ lead co-counsel David Boies and Plaintiffs’ counsel Theodore J. Boutrous, Jr.; San Francisco City Attorney Dennis Herrera; and AFER Executive Director Adam Umhoefer. Also joining the call was Chad Griffin President of the Human Rights Campaign (HRC) and co-founder of AFER. Next Tuesday, March 26th the United States Supreme Court will hear oral argument in Hollingsworth v. Perry, the federal constitutional challenge to California’s Proposition 8. Enacted in November 2008, Prop 8 eliminated the fundamental freedom of gay and lesbian Californians to marry. 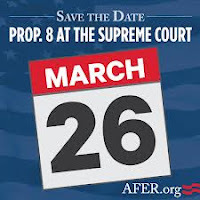 On December 7, 2012, the Supreme Court granted certiorari in Perry to review the landmark federal court of appeals ruling that upheld the decision of the federal district court that found Proposition 8 unconstitutional. The Court will consider whether Proposition 8 violates the Due Process and Equal Protection Clauses of the Fourteenth Amendment to the United States Constitution. On February 28th the United States Government filed a brief as amicus curiae in support of the Plaintiffs challenging California’s Proposition 8. The Government’s brief urges the Supreme Court to strike down Prop 8 as unconstitutional. Mainstream and LGBT media attended the conference call including Emmy Winner Charlotte Robinson from OUTTAKE VOICES. Questions were asked by Michael McGough LA Times, Robert Barn Washington Post, Jeffrey Toobin New Yorker Magazine, Richard Wolfe USA Today, Geoffrey Fowler Wall Street Journal, Bill Rankin Atlanta Journal-Constitution and Laurence Hurley of Thomson Reuters. In this exclusive audio interview Emmy Winner Charlotte Robinson host of OUTTAKE VOICES™ talks with Tony Winner Levi Kreis about his new single “So Much Better” and his current “Flying Solo Tour”. 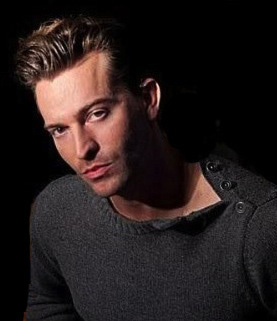 Kreis became a Broadway star overnight with his effortless comedic timing and dazzling piano chops as Jerry Lee Lewis in the Tony nominated musical “Million Dollar Quartet” that garnered him the Tony. Now he returns to his LGBT roots with his single “So Much Better” that sets the tone for a new chapter in his career that directly speaks to our LGBT history. Levi says, “It captures a period of time where R&B and dance music emerged from the black and gay communities as vital anthems of freedom. Some call it nu-disco. I honestly don’t know what it is but I wanted a sound that celebrates our history and takes pride in our accomplishments.” We talked to Levi about his music and his spin on our LGBT issues. Kreis is currently on his Flying Solo Tour with dates scheduled through April and will continue as the album is released. Levi’s music has been featured on NBC, CBS, CW and FX. Most prominent features are The Vampire Diaries, Sons of Anarchy and The Apprentice. He has appeared on The View, David Letterman and Late Night with Jimmy Fallon. 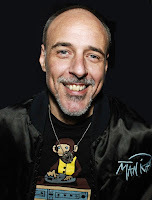 He is an OUT100 alum, #1 Logo Artist, and OUTMusic Award Winner. “So Much Better: US Singles” is available now on iTunes. Current dates for the Flying Solo Tour: In Chicago through March 21st - NYC, March 23rd - D.C., March 27th - Raleigh, March 30th - Knoxville, and April 13th - Atlanta. More dates TBA. Levi's new album "Imagine Paradise" will be released June 20th. In this exclusive audio interview Emmy Winner Charlotte Robinson host of OUTTAKE VOICES™ talks with author Paul Vitagliano about his new book "Born This Way: Real Stories of Growing Up Gay” that features over 100 stories and photos of notable public figures from the LGBT community. The book includes Barney Frank the first openly gay member of Congress, Noah Michelson Editor of Gay Voices at Huffington Post, Village Voice columnist Michael Musto, actor/drag performer Miss Coco Peru and celebrity blogger Perez Hilton just to name a few. The book evolved from his blog of the same name that he launched in January 2011 as a way to decrease LGBTQ teen bullying and suicides. Paul stated, “I started the Born This Way project to show young gay kids that they’re not alone; many others have gone through everything they’re experiencing now. We must share our stories and play it forward for future generations. Being gay is as normal and natural as being straight. It is not a choice or a phase, it’s not something you learn and it’s certainly not something that can or should be “cured” or “fixed.” All children need love and nurturing and support.” We talked to Paul about his groundbreaking book and his spin on our LGBT issues. Paul Vitagliano (aka DJ Paul V) is also an institution in the Los Angeles and Silver Lake club scene whose eclectic club and radio DJ career has thrived for 30 years; first in Boston from 1982-1987 and currently in the Los Angeles vicinity since 1988.